Giovani per l’Europa is also the benchmark for who would like to become pastry chef . 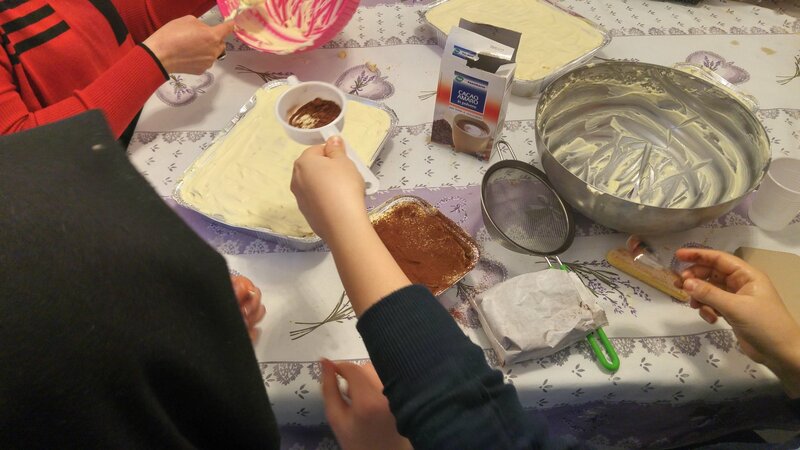 Giovani per l’Europa has revolutionized the trade of the “ PASTRY & BAKING ARTS ” because our courses are carried out directly into real confectioner's shop in Italy. In such a way that anyone from scratch can really learn this craft in a real working environment, being in close contact with professionals pastry chef . Our mission is to teach you how to make cakes as a professional. 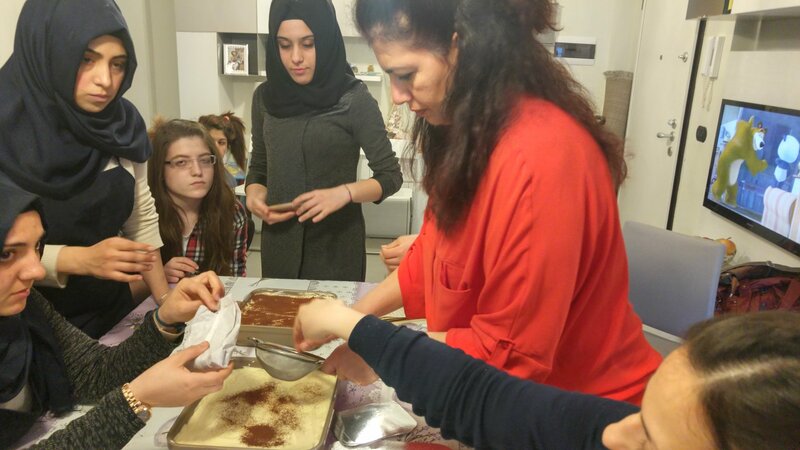 PASTRY & BAKING ARTS course are held in Italy by an italian instructor. An intensive program focusing on the basic notions, skills and techniques of Professional Pastry. Attending this course does also facilitate a job placement as pastry chef assistant in restaurants or pastry labs. 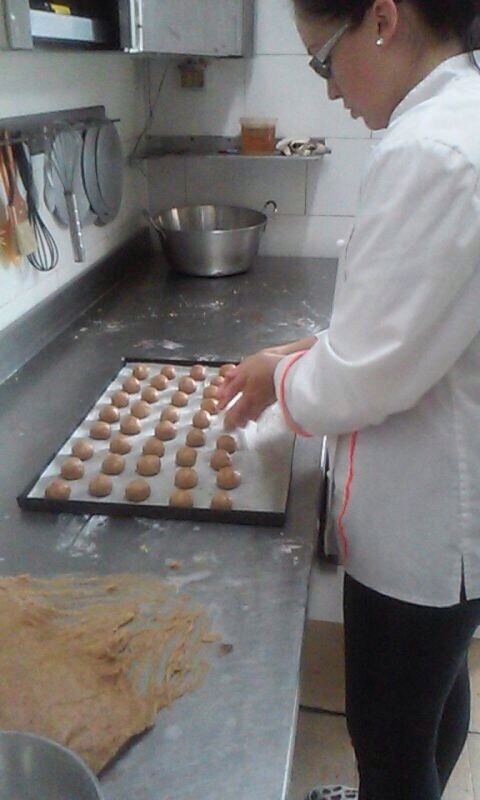 The course is aimed at those participants who want to learn how to make professionals cakes and holders of pastry shop , teachers of vocational schools of other nations, who wish to learn and deepen theoretical concepts and practical experience required to operate successfully in the field of Pastry . At the end of the course we will deliver you our Italian certificate. To learn how to prepare Italian Cannolo Siciliano. Methodology In the framework of Erasmus Plus Programme, we are going to develop our courses based in both formal and informal education methodologies. 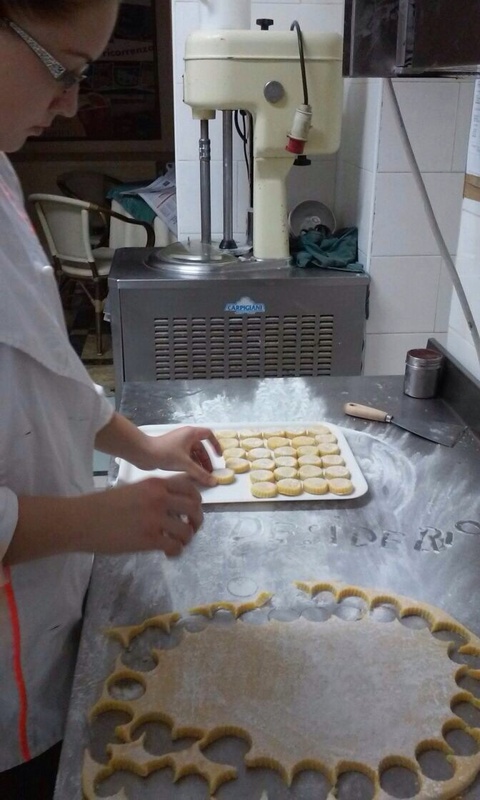 During the course to become a Pastry -chef, you'll learn pastry techniques, use different kinds of flour, to use the oven, sugar techniques , basic pastry doughs etc. You'll be with us every day in a popular Pastry shop in Italy with an Italian instructor who will follow you in all processes every day. 1st Day: Transfer from the airport to accommodation and room allocation. Daily evaluation. Rules applicable in Italy, information about the city and general information about the Programme. Meeting with pastry chef and visit the restaurant that will be the class room of the programme . Small introduction on cereals. Wheat: basic cereal for baking, the kernel. Flour: its production, the different degrees of refining, the information on the lot, its storage in the warehouse of the pizzeria. 2nd Day: First Lesson: The bakery, the bread and its derivatives. Method and duration of processing and cooking, in order to obtain products crunchy or soft, according to the needs. Cultural Visit in the city. 3rd Day: Second Lesson on puff pastry and its use in pastry. The shortcrust pastry and biscuits. 4th day: Third Lesson on chocolate. Some of the topics covered: history of chocolate, tempering, processing, write with chocolate, chocolates, coverage. Chocolate Icing. Ganasce al chocolate. 5th Day: Fourth Lesson on the use of liquor in confectionery, how to prepare a perfect babà, tipical Napoletan sweet. 6th Day: Free time for individual research or optional cultural activities. 7th Day: Free time for individual research or optional cultural activities. 8th day: Traineeship at the most famous Italian confectioners. 9th day: Traineeship at the most famous Italian confectioners. 10th day: Traineeship at the most famous Italian confectioners. 11th day: Traineeship at the most famous Italian confectioners. 12th day: Traineeship at the most famous Italian confectioners. Evaluation of the Training Course. Certificate Ceremony and overall evaluation meeting with the host organization and the beneficiaries.